Disclaimer: The RIVA FESTIVAL was sent to us a sample in exchange for our honest opinion and does not have to be returned. Riva is not a site advertiser or affiliated with Headfonics. We thank the team at RIVA for giving us this opportunity. I received a care package containing two speakers from a nifty company named Riva. Inside said package was the $499 Festival and the $249 Arena. Today, we will be focusing on the Festival model and, sometime in the near future, tackling the Arena. Multi-Room speakers have really become much more powerful and popular in the past few years There are so many options now to choose from that do a fantastic job for your home and even large venues. Let’s see if Riva’s Festival can handle itself against the competition in the sub $500usd and under tier! This $499 Festival offers a very good build, at least in my opinion. The unit is very heavy at just over 14lbs and feels quite dense in the hand when lifted. The entire internal area is a wooden chamber, which bothers me a lot due to the fact that the unit’s exterior casing is not wood. Riva has a wonderful image of the interior and what it looks like just below the exterior casing and it is absolutely drool-worthy. If only this speaker were designed without this exterior casing around the entire central area. 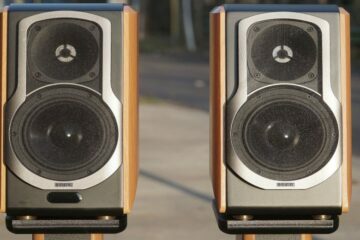 If only the speaker were a totally wooded speaker, perhaps with a beautiful sheen and lacquer job similar to the one that appears to be in their stock photo. Oh boy, that would have been stellar. For now, the speaker is just fine in exterior quality. I don’t have any negative feelings towards build or design in the slightest, only immensely powerful subjective desires for the exterior having been a full-on woody housing speaker…because it is literally inside of the unit just under the exterior, right there in all that glorious beauty. 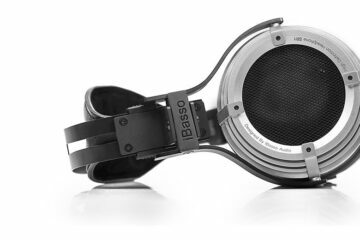 This is a wireless audiophiles dream come true. No doubt. This Festival is rated at 200w and has a 6 channel amplifier inside as well. I almost expected it to cut corners with connective options in the way of just how powerful the unit is and can be. But, the Festival actually covers pretty much everything you need. 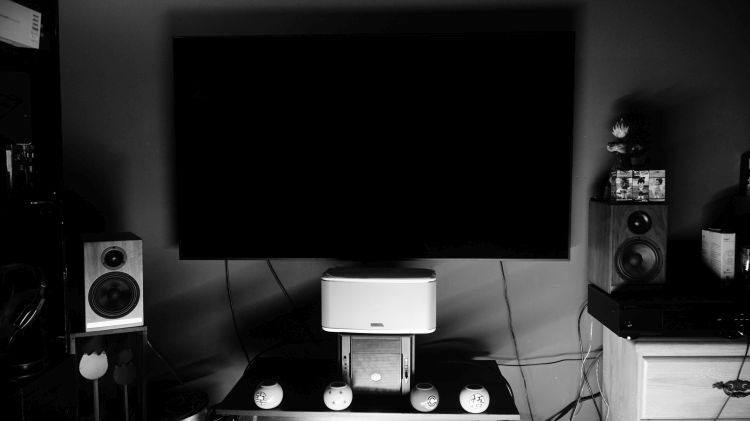 Airplay, Bluetooth, DLNA, Wifi enabled Chromecast, Spotify connect, Optical and 3.5mm input. You’ll need to install the Riva App first via the Android or iOS store, as well as any corresponding apps for the source applications you will want to use. Installation and connection to a Wifi network is a breeze. 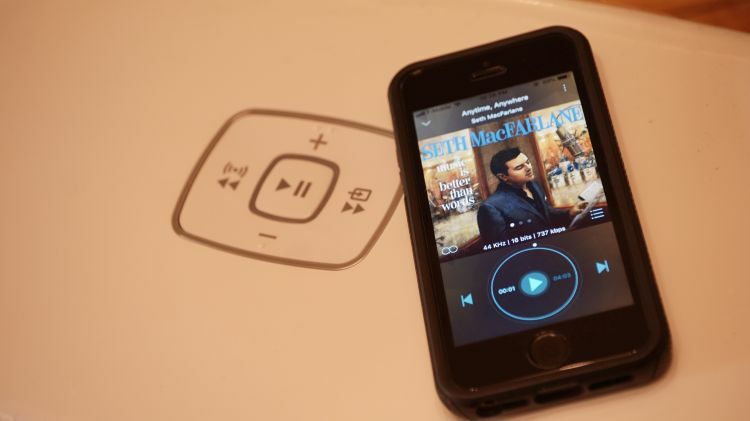 Once coded in, you can start streaming your music from various applications, or even voice control with the Google Home Assistant unit if you have one already. The bounty is large. Riva made sure to offer pretty much every type of connection you really will ever need. Typically, I don’t use anything but a direct Bluetooth connection, but it is very nice to use the other options and direct sourced connections as well. I prefer to plug in directly with a 3.5mm off my portable source. Or, via a standard BT connection from my phone. 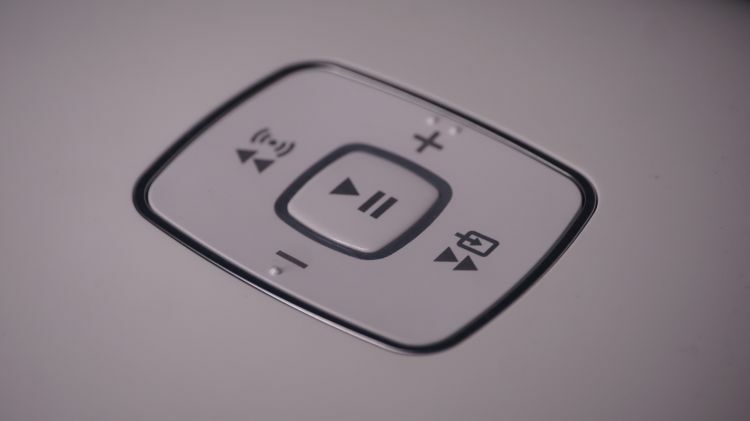 The quality of the unit more than makes up for the currently lacking audio quality of Bluetooth at the moment. That isn’t a fault of the speaker. Just Bluetooth tech still not being up to par. Despite that, the Festival performs admirably and I enjoy the fast connection via BT right off my phone. I stream Spotify that way as a preference, but I assume many others will prefer Spotify direct. Especially so if you are using Spotify Premium for better quality audio. Truth be told, the Festival has almost every angle covered that you’d likely need. You can also control it via voice command with Google Assistant, or output music via USB-A connection. Undoubtedly, this Festival has a very nicely weighted low end. But, then again, so do a lot of these types of speakers. So what sets this one apart from the rest that I’ve heard in recent times? Well, the bass depth and richness factors are sublime. At the $499 tier, I am fairly certain this is the best I’ve heard. Bass broadness is a real treat with this model and it can really fill a living room with some excellent low-end depth and reach. Placement seems very important though, as I have found that depending on the mode being used and the placement of the speaker itself set a certain distance from a wall, also depending on what the wall was made of, the Festival will portray very large feeling bass or a moderate flare in that regard. As for quality and overall fidelity, I rate it as very good. A speaker can still feel rich and weighty, but also pure all at the same time and that is the case here. However, I feel that a comparison needs to be made with 2.1 speakers, bookshelf, and similar towers at the same price point. For example, my AudioEngine HDP6’s, which sell for the exact same price now at $499. Truth be told, the Festival has more bass potential on a flat EQ. That means that without any added in extra bass boosting, the Festival feels more weighted, solid and deep-reaching than the HDP6’s. However, when EQ is a factor, the HDP6’s were able to jump ahead a fair bit in quality and retain control and depth even at +6dB extra on the low end. For what is available, the Festival’s low end is good quality, with excellent depth and rumble factor, but also one that is able to really fill a moderately sized living space very well. I cannot say the same for the HDP6’s until EQ bumps and boosts the low end to a +5dB or even more factor. The raw quality and fidelity of the midrange vocalist experience is a good one, for sure. Close competitors, all be it that still sound different in physical presentation, would be something like the Harman Go+Play. Sadly, I don’t have one of my own, but I got to hear it often enough to make a basic assessment of bass depth and midrange appeal. My vote for the purist and critical listener would go to the Harman Go+Play. The Riva Festival is more musical, more fun, more engaging, more interesting to listen to, thicker feeling with a better substance factor and also the one I greatly prefer to use for musical enjoyment. Raw quality and fidelity is not the end all, be all of a product. Musicality and enjoyment on a subjective level should always be factored in too. If you are a purist, I suggest something else. I think the Festival is too broad, large and expensive sounding, as well as very deep reaching when it wants to be for a critical listener. A Musicality Chaser, such as myself, would regard it as the wiser purchase. Despite that, I don’t think the Harman was noticeably inferior in raw fidelity, control, and quality. But, not by too much. To my ear and during a good hour comparing the two, I found the Festival more well rounded and the Harman the more specialized product. The Festival remains exceptionally well controlled, even at very high volume. Typically, a speaker will distort well before nearing the maximum volume the product is even capable of. The Festival doesn’t really have that problem. Cranked very high, the resolution and form factor does not really distort much at all, perhaps, only a very small amount. My HDP6 cannot go that loud without distortion, nor can my Oppo Sonica. Yet, even at low volume, the bass is pushed out into the room very well. This is a fantastic product for bass depth. No, this is not a bass cannon, nor is it exaggerated too much. Bass depth and the response was simply very deep reaching, well controlled and broad feeling. It is what I want in my speakers. I want towers that feel like this. I’ve not come across any that are affordable that feel like the Festival. Riva’s Festival is moderately placed in the middle spectrum areas, which means that the experience doesn’t feel overly forward or recessed. It feels parallel and separated from the plentiful low end, which is a fantastic quality to have in a home single unit speaker such as this. Due to the pushing and room-filling nature of the speaker, which is very good, the midrange follows suit with the bass and also can really fill my living room with a broad sense of vocal presence. I do not really get that sense with my older Oppo Sonica speaker, which sells for just a bit less at $299. I also do not get that sense in my HDP6 so much either. The problem is density factor for me, at least on a subjective level. I prefer my mids to be creamy, rich and thick feeling. A high-density substance factor and this Festival has that for the most part until it reaches the upper midrange. When it does, the experience seems to thin out to my ear quite quickly as it reaches into the lower treble areas. I do not recommend the Festival if you are looking for a midrange vocalist centered experience. I do recommend it for all-around usage with a multitude of track types. This speaker isn’t a specialist. It is good at pretty much everything but does nothing on a grand scale beyond broadness factor in imaging. If there is a weak factor in the experience, I am going to cite the upper end as the culprit. While not bad at all, the treble experience feels noticeably thinner, less substance factored and a bit out of place in comparison to the mid and bass areas of the listening experience. I don’t think it is bad quality at all. In fact, I think it is still good quality treble. I just instantly feel a sense of lacking substance factor and even a gentle lopsided tendency when there is a lot going on in a track. When there are instances of lots of bass, vocals, and treble, it is always the treble that feels like the weaker link and branch on the tree. To my ear, the treble response is a little too distant feeling in comparison to the broad and plentiful mids and bass presence. I suppose that was most likely a purposeful design, considering the speaker isn’t very potent with a dynamic treble kick and slam factor. That kick factor isn’t very strong and that is a wonderful thing for a musical sounding speaker. I do not want it to kick hard. I feel like this is the preferred tonal tuning method for such a media-driven experience as this. And yes, I consider the Festival a fantastic alternative to a great sound bar or even a small home audio/theater setup in a media room. I feel like the upper end of the speaker is on the lower end of moderate in terms of slam. It isn’t very soft and it certainly isn’t wince-worthy. Well, broadness and the ability to fill a room is quite good on this speaker. It doesn’t perform grand at lower listening levels and doesn’t project much until the volume is kicked up. At lower levels, expect a more intimate setting. For larger rooms, even outdoor activities, the expansiveness of the image when sitting in front of the unit is impressive. Again, I need to mention that room acoustics and even placement location of the speaker can affect the broadness factor. In my testing, the Festival performed much better when I made sure to place it at least 5 feet away from the nearest wall behind the unit itself. With plenty of space forward and to the sides, it seems that more space between the back side and the nearest wall beyond it are what affects the bass depth and broadness of the image the most. Yes. The Festival sounds big for its size and I rate it very highly in this area of the listening experience. It absolutely dwarfs the Oppo Sonica and can rival the HDP6 in a normal sized living room. If you are looking for a single unit speaker, especially a Bluetooth one, this could very well be your ticket to one of the larger feeling and sounding products out there. 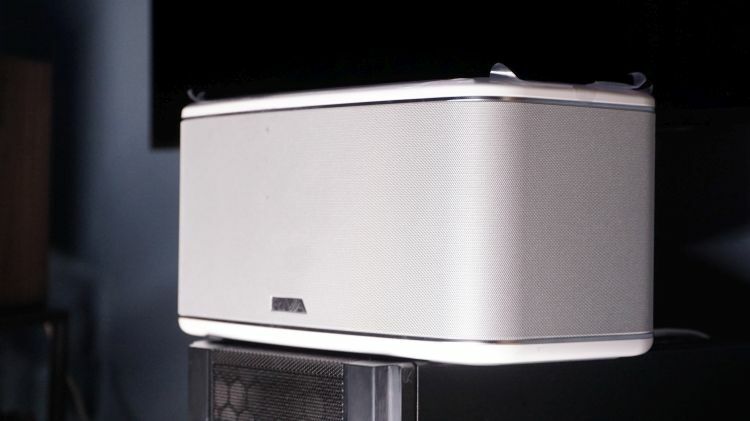 Riva has done a fantastic job with this speaker. I have a lot of audio enthusiasts pass my way and through my area, so I often enjoy entertaining them with new gear. 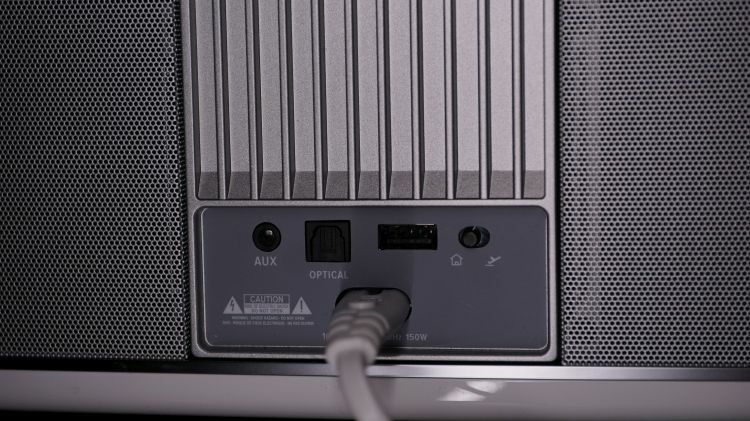 For media usage, directly connected to my source via 3.5mm, I’ve been complimented on my setup of speakers that are usually set on either side of the TV. Those offering the kind words often aren’t aware that my HDP6’s were not active at all or even plugged in. But, the Festival was. It really projects very well. I enjoy it very much. It has an uncanny ability to stay clean and focused at very high volume and also reach very deep without causing a bloated feel down below. I do wish they would have kept the entire unit wooden though. I understand why they what they did in that design element, of course. It is fine. A wood speaker with a non-woody enclosure around that is a bit odd…but, so long as it retains the generally musical flare of a woody chassis where it counts, that is fine by me. 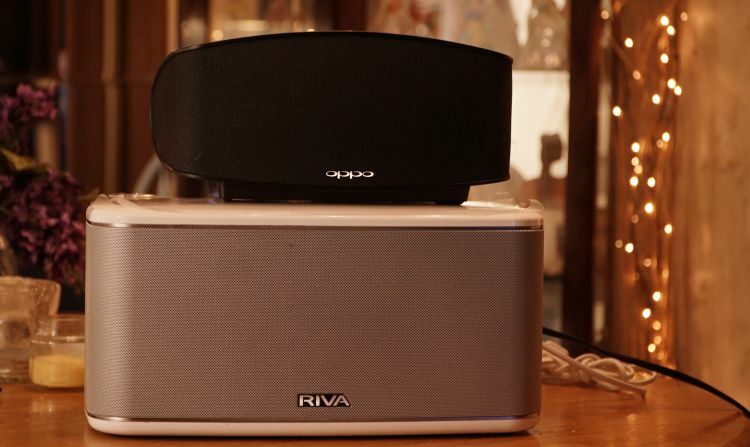 With pretty much every type of connection you can dream of, Riva’s Festival is a great offering for a single unit $499 speaker. I enjoy it very much for movies and YouTube due to it projecting a large-field sound and also reaching deep with bass rumble without sounding overly impacting and forceful. It is on the musical side in tonality and we don’t really see enough products in the speaker field that sound like this anymore. I think it is a great step in the right direction for those who want to kick back and enjoy the music and have fun while retaining very good fidelity overall.